Daniel J. Power is a Professor of Management and Information Systems at the College of Business Administration at the University of Northern Iowa, Cedar Falls, Iowa and the editor of DSSResources.COM, the Web-based knowledge repository about computerized systems that support decision making, the editor of PlanningSkills.COM, and the editor of DSS News, a bi-weekly e-newsletter. Dan writes a regular column in Decision Support News. Also, Dan is a blogger on the Business Intelligence Network. Since 1982, Dan Power has published more than 50 refereed articles and book chapters and more than 30 refereed proceedings papers. His articles have appeared in leading academic journals including Decision Support Systems, Decision Sciences, Journal of Decision Systems, MIS Quarterly, Academy of Management Review, Communications of the Association for Information Systems, and Information and Management. He is also co-author of a book titled Strategic Management Skills and he has authored four books on computerized decision support. His DSS Concepts book (2002) titled Decision Support Systems: Concepts and Resources for Managers is a broad ranging scholarly handbook on the fundamentals of building decision support systems. His expanded DSS Framework has received widespread interest. His book Decision Support Systems: Frequently Asked Questions (2005) organizes important Ask Dan! questions (with answers) published in DSS News from 2000 through 2004. In November 2009, his book Decision Support Basics was published by Business Expert Press, check businessexpertpress.com. His most recent book from Business Expert Press is titled Decision Support, Analytics, and Business Intelligence. Professor Power is the founding Editor-in-Chief of the Journal of the Midwest Association for Information Systems (http://jmwais.org/), a Senior Editor of the Oxford Research Encyclopedia of Business and Management, was the founding section editor of the ISWorld pages on Decision Support Systems Research and was founding Chair of the Association for Information Systems Special Interest Group on Decision Support and Analytics (SIG DSA, previously SIG DSS). 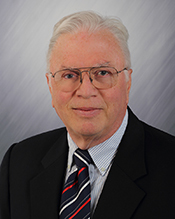 Also, Professor Power was the founding President of the Midwest United States Chapter of the Association for Information Systems (MWAIS, http://mwais.org/). In 1982, Professor Power received a Ph.D. in Business Administration from the University of Wisconsin-Madison. He was on the faculty at the University of Maryland-College Park from 1982 to 1989 and received tenure as an Associate Professor in 1987. Power served as the Head of the Management Department at the University of Northern Iowa (UNI) from August 1989 to January 1996. He served as Acting Dean of the UNI College of Business Administration from January 16, 1996 to July 31, 1996. Dr. Power is a pioneer developer of computerized decision aiding and support systems. During 1975-77, he developed a computerized system called DECAID, DECision AID. In 1981-83, he reprogrammed and expanded the system for the Apple II PC. In 1986-87, he designed a set of decision aiding tools for the Management Decision Assistant package from Southwestern Publishing. Professor Power travels nationally and internationally teaching and consulting about Decision Support and Business Strategy. Dr. Power has been a visiting lecturer at universities in China, Denmark, Ireland, Israel, and Russia. Power has consulted with a number of organizations and in Summer 2003 he was a Visiting Faculty Research Fellow with the U. S. Air Force Research Lab Information Directorate (AFRL/IF). researcher and a Data and Decision Scientist. New data streams from social media, passive data capture and other sources are creating opportunities to support decision making. Also, data volume, data velocity and data variety continue to increase. Data-driven decision making using these new data streams, often call “big” data, is an important topic for continuing discussion and research. Given the costs of this data it is important to understand “big” data and any decision making use cases. Current use cases demonstrate how new data streams can support some operating decisions. Claims that new data streams can support strategic decision making by senior managers have not been demonstrated. Managers want better data and desire the “right” data at the “right time” and in the “right format” to support targeted decisions. This article explores the challenges of identifying novel use cases relevant to decision making, especially important, strategic long-term decisions. Analyzing “big data” to find a great business plan or to identify the next revolutionary product idea seems however like wishful thinking. Data is useful and we have more of it than ever before and the volume is increasing because data capture and storage is inexpensive. “Big data” and advanced analytics may provide facts for experienced and talented strategic decision makers, but those uses are not clearly defined. At present, the major strategic decision related to “big” data for senior managers is how much time, talent and money to allocate to capturing, storing and analyzing new data streams. Better defined decision making use cases can help senior managers assess the value of new data sources.